DICKINSON, TX (KTRK) -- The body of a missing 22-year-old fisherman was located Monday night by the Galveston County Sheriff's Office Dive Team. Police were dispatched to the Dickinson Bayou around 7:30pm after they received a report about an overturned kayak in the water. They say the man and a 23-year-old friend were out fishing. The wind and current picked up so they tried to head back to shore, and that's when their kayak overturned. The 23-year-old made it safely to shore; his friend didn't. 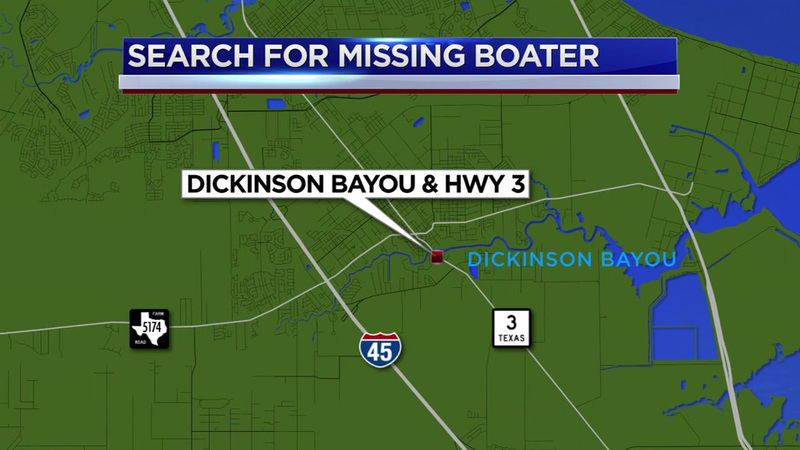 The active search was conducted by Dickinson PD, Dickinson VFD, Galveston County Sheriff's Office Dive Team and other agencies. No other details have been released. The victim's name is not being released at this time.